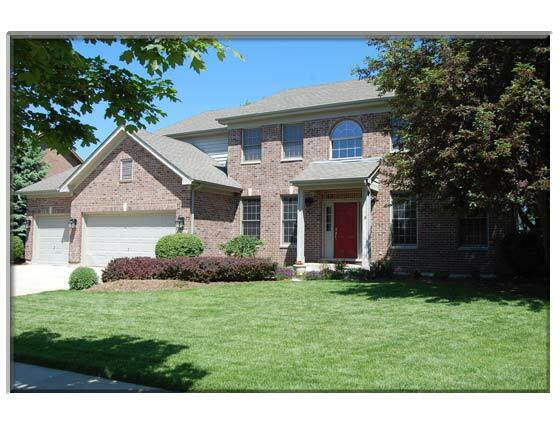 There is great space in this 4 bedroom 3 � bath newer construction home. The kitchen has gorgeous cabinetry, island, granite countertops, stainless steel appliances and is open to the eating area and family room. Other features include dual staircases, Brazillian cherry flooring, first floor den and full bath. The finished lower level includes the pool table, a wet bar with bar stools, rec room, full bath and storage. The backyard with mature trees offers plenty of shade to enhance your enjoyment of the large paver patio (complete with firepit!). Even better, the backyard is adjacent to open space.